It gave 80s horror a gore-filled boot up the backside, proudly challenging others to match its level of blood and guts, and now Re-Animator is being brought back to life, this time in a stunning high definition Blu-ray thanks to Second Sight Films. 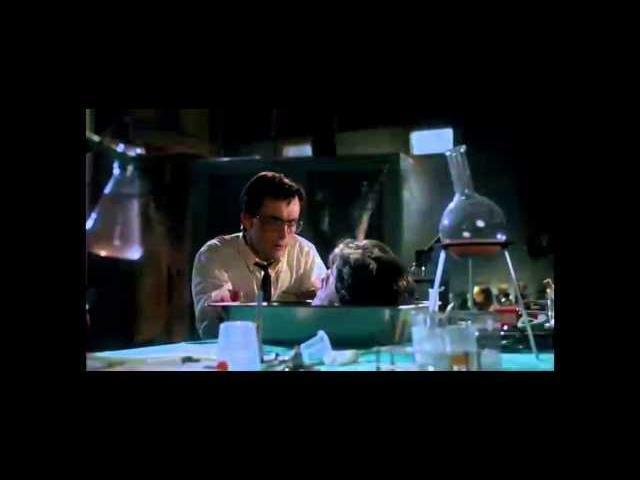 Re-Animator will be released as a limited edition two-disc Blu-ray Steelbook and a two-disc DVD version on 2 June 2014, it will also be available to download on 19 May and via video on demand on 26 May. A medical student and his girlfriend become involved in a bizarre experiment into reanimating the dead conducted by the student's incorrigible housemate in this campy sendup of an H.P. Lovecraft story. The emphasis is on humour but once the dead walk, there is gore aplenty.